The development of German Expressionism is covered on the Expressionism page, which mentions that in addition to Ernst Ludwig Kirchner’s Die Brucke (The Bridge) group, the other important group of Expressionist artists in the early part of the twentieth century was Der Blaue Reiter (The Blue Rider). 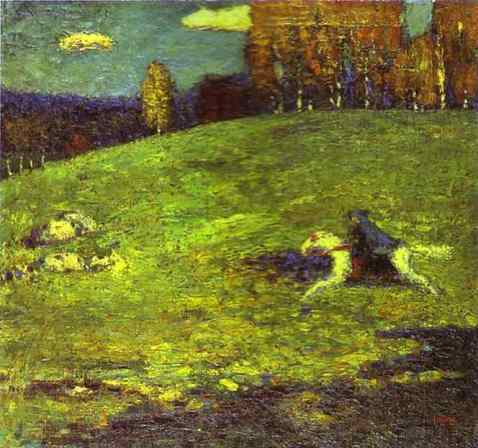 Der Blaue Reiter name was taken from a 1903 painting of the same name by Wassily Kandinsky, which features a horseman. 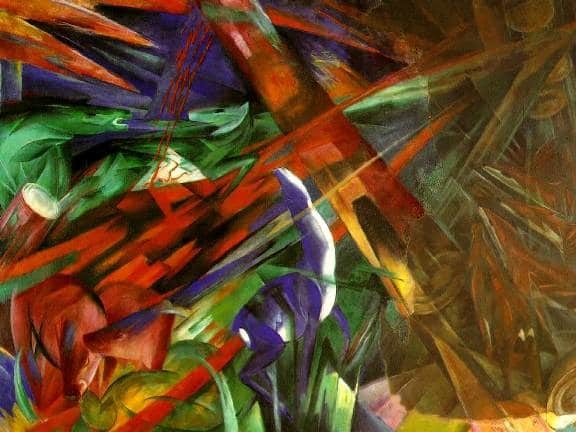 The horse was a popular subject for both Kandinsky and Franz Marc, another founder of the group. Like Die Brucke, Der Blaue Reiter was formed as a reaction against the conservatism of the art establishment of the time, as well as being a way to facilitate exhibition space for artists dedicated to freedom of expression in their art. The founding members of Der Blaue Reiter were Wassily Kandinsky, Franz Marc and Gabriele Munter. All artists shared a belief in a spontaneous and intuitive approach to painting and the emotive and symbolic associations of colour. 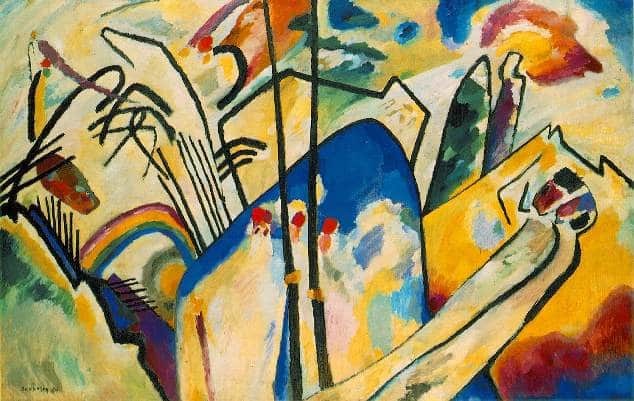 Wassily Kandinsky wrote extensively about his theories of art, which were instrumental in the development of abstraction. His best known and most important work was ‘Concerning The Spiritual In Art’. The first exhibition of Der Blaue Reiter artist group was in 1911 and featured the work of 14 artists, including Wassily Kandinsky, August Macke, Franz Marc, Robert Delaunay, Henri Rousseau, Arnold Schonberg and Albert Bloch. The other main exhibition by Der Blaue Reiter artist group the following year (1912) was a much larger affair, this time featuring the work of over 30 artists, including Pablo Picasso, Georges Braque and Paul Klee. Der Blaue Reiter artist group was brought to a premature end by the First World War, when Franz Marc and August Macke were both killed. Der Blaue Reiter was an important milestone in the development of the Expressionist art movement, and the promotion of expressionism in painting. 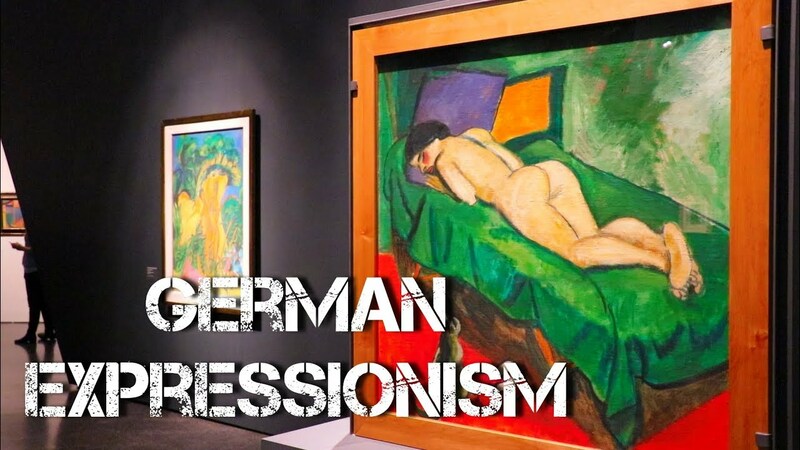 It was a useful reaction against the art establishment and helped to further the development of the idea that art should be about individual expression and emotion, as well as paving the way for all future abstract art movements.